He’s back. Cross-country skier Petter Northug said he’d never felt such a sense of relief and accomplishment as when he crossed the finish line first in the opening event of the Nordic World Ski Championships in Falun, Sweden on Thursday. After a year of poor performances that bottomed out with drunk driving last spring, Northug showed he could still win gold. He said it was like having a huge weight lifted off his shoulders. “It’s good to get rid of it,” he said. 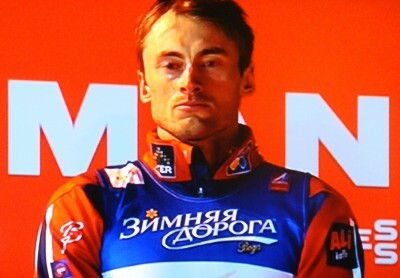 Northug was so overcome with emotion after winning the first race of the 2015 World Championships that he sobbed in the arms of his brother Tomas, also a professional skier, after dropping to the snow and lying there for several minutes. Then he skied backed and forth in front of the cheering crowds, occasionally grabbing a flag to wave, and even bowing to the grandstands. It was as if he couldn’t quite believe his victory himself. After the worst professional year of his life, with his drunk driving crash, serious charges filed against him, a loss of sponsors, economic uncertainty, the prospect of a jail sentence because of Norway’s tough laws punishing drunk drivers, and even some disappointing races earlier this season, he finally could ski well again. “After what happened last spring (his drunk driving spree) I realized that there was one thing I owed those around me, that I needed to show the Norwegian people that it’s possible to raise yourself up again. My way of doing that is to go around in Falun wearing the Norwegian flag. Therefore it got very emotional for me today.